Mens Studded Jeans With Embroidery by Kingz. These mens studded jeans combine luxury streetwear with Western-inspired details. Featuring light antique wash jeans with fine embroidery and metallic circle studs. Constructed with five-pocket design, button closure, and belt loops. Mens studded jeans designed with intricate dreamcatcher and eagle embroidery. Faded denim includes ripped accents, distressed markings, and thigh whiskering. 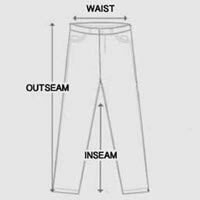 Slim fit jeans made from cotton blend with slight stretch for comfort. Get a taste of designer dungarees with these embroidered mens studded jeans.